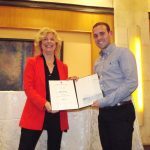 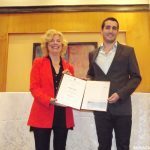 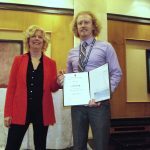 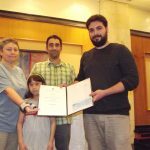 The 2016 Prize on behalf of Dvorah and the Late Professor Joseph Shinar was awarded to Ph.D. student Shmuel Hayoun for his research on “Cooperative Strategies and Capture Zones in Multi-Player Pursuit-Evasion Games”. 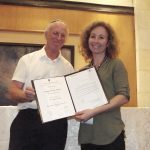 Prof. Daniella Raveh was awarded a prize from the Jordan and Irene Tark Aerospace Structures Research fund for her research proposal entitled “Load Control in Elastic Wings for Overall Aircraft Efficiency”. 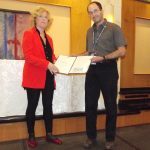 Prof. Daniella Raveh was also awarded the Neev-Ya Prize as a co-author of the paper entitled “Evaluation of an ARMA Flutter Boundary Prediction Method Based on Discrete-Time Structural Responses to Turbulence Excitation in Flight-Tests”. 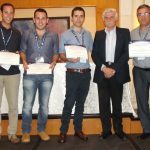 The Student Project Competition Prize in Memory of Dr. Shlomit Gali was awarded to Shai Alexandroni, Maxim Belonojko, Yair Elbaz, Lior Lifshitz, Ilai Muller, Naftali-Nati Twito, and Shahar Wollmark for the project “Challenges in the Conversion of a Business Jet into a Regional Airliner, Based on the ARJ-100” that was supervised by Mr. Moshe Attar from IAI. 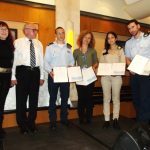 Congratulations to all the prize and award winners!